I'm Getting Really Freaked Out, Rock. Do something!!! DON'T WORRY. EVERYTHING'S GONNA BE ALRIGHT. 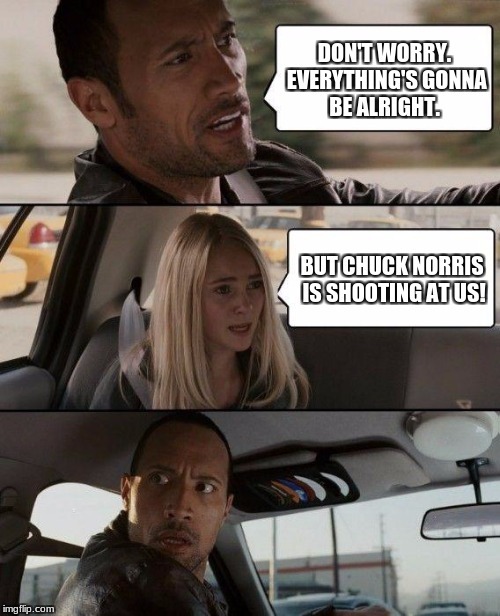 BUT CHUCK NORRIS IS SHOOTING AT US!